Since its discovery in 1735, there has been a growing interest in cobalt and its use in modern day applications. 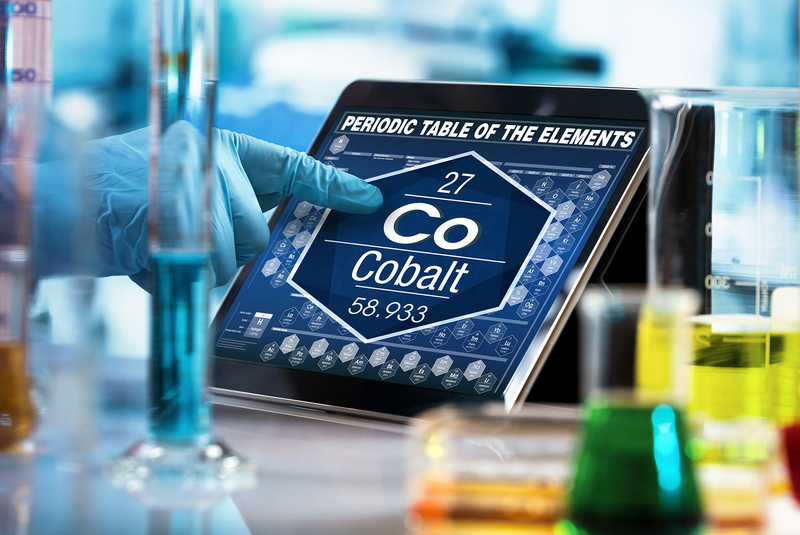 Here, Ben Stafford, Materials Science Expert at online materials search engine Matmatch, explains why cobalt has become pivotal to the wide adoption of electric vehicles and the development of the next generation of electronic devices. While cobalt compounds have been used for centuries, it was Swedish chemist Georg Brandt who was credited with identifying the metal and showing how the element was responsible for the colour in blue glass. Cobalt became the first metal to be discovered since prehistoric times, with metals like copper and gold having no recorded discoverers. Cobalt is not found as a free element in nature but in minerals in the earth’s crust. In fact, most of the cobalt mined, particularly in Africa, is seen as a by-product of mining other materials like nickel, copper and silver. Today, cobalt’s status as a by-product is changing. Pure cobalt is a hard, brittle metal, yet when combined with other metals, forms alloys which are highly resistant to corrosion and high temperatures. For this reason, they are often used in the aerospace industry, for example in rocket motors and space vehicles, and in the energy industry in nuclear reactors and gas turbines. At Matmatch, we see that cobalt-containing materials are also becoming increasingly common for electroplating, industrial catalysts and powerful magnets, as well as being a key component in lithium-ion batteries to power electronic devices and electric vehicles (EVs). While the total demand for cobalt is expected to reach 120,000 tonnes per annum by 2020, a 30% increase from 2016’s figure, it’s expected that battery consumption will account for 60% of cobalt’s demand. This is a 58% increase on battery demand reported in 2016. The EV market shows no signs of stalling, with more car manufacturers following the lead of Volvo’s ‘all-electric’ initiative. In light of this, more investors have begun seizing the opportunities along the vehicle electrification supply chain and as a result, the demand for lithium-ion batteries has significantly increased. In fact, in 2016 global sales of EVs rose by 63% in the third quarter, compared to the same period the year before. There is no disputing that the cobalt market has engaged the interest of financiers and stakeholders, not just for EVs but also for other smart technologies and next-generation devices across various industries. This includes the development of industrial and home grid energy storage systems, military drones and the batteries that power them. While cobalt may have traditionally been used for its pigment, by comparing the properties of cobalt-containing materials, design engineers and original equipment manufacturers can widen the scope of their uses and applications. Doing so will help create the next generation of smart technologies and applications.